Obituary for Anna Loretta (Downs) Ross | Henry Funeral Home, P.A. Anna Loretta Downes Ross, 87 of Trappe, peacefully departed this life on Friday January 25, 2019 at Integrace Bayleigh Chase Nursing Center in Easton. Anna was the daughter of George Washington Downes, Sr. and Annie Jenesse Truxon Downes. During her working years, she was employed at Western Publishing Company in the Camera Dept, Whalen Company (Air Conditioners the ones in company’s) and five years at Celeste Industries Corporation before retiring. Sitting around the house being bored, she decided to become a caregiver. She was a friendly and loving person, always ready to lend a helping hand. Out of all her jobs, caregiving was her best. She would get up early in the morning and travel to Westover, Maryland taking care of Mother Marian Collins who became the family foster sister. 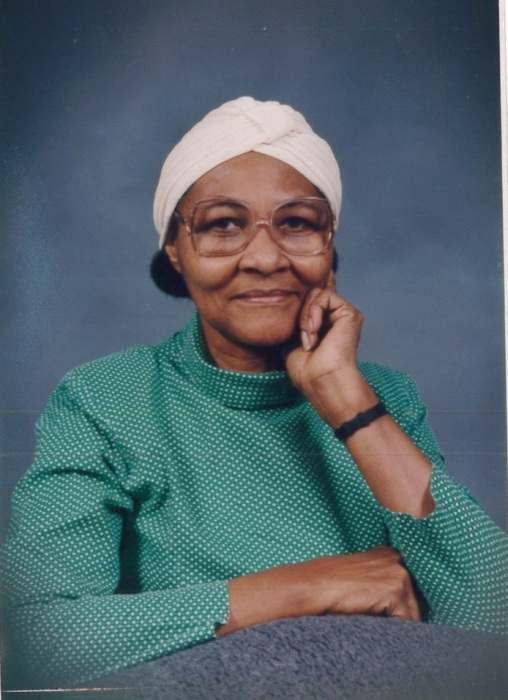 She gave her life to Christ and was a member of United Church of the Lord Jesus Christ, Apostolic Faith in Westover, MD with Pastor Lowell Collins. Anna loved praising the Lord, singing, and traveling all over the world teaching the praises of God. She was also going to the Eastern Correctional Institution in Westover witnessing and praising God with the prisoners. Those left to cherish the many memories of Anna is her daughter Alfreda L. Copper (Keiford Sr); 1 granddaughter she loved very much, Isis LeAnn Copper; 4 sisters-in law: Joyce Downes (Easton), Doris Gilliard (Philadelphia), Joanne Murray (Trappe), Cora Brice (Easton), and Madie Ross (Trappe), many cousins and friends. Anna was preceded in death by her parents, George and Janessa Downes, her husband Lewis E. Ross; 5 brothers and sisters: Eley Downes, George Downes, Jr., Lilliam Chambers, Margaret Thomas, and Elva Anderson.